“MY SWEET BABY” are original and unique sleeping wicker cribs (baskets) for infants, beautiful healthy bedding and accessories, solid wooden furniture and many other products for infants. 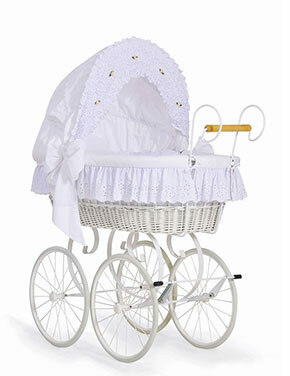 Original MY SWEET BABY infant wicker cribs (baskets) mean highest quality, nice design, safe usage and comfort for mom and child in first months of life. This unique product is the only one to have TUV certificate assuring that it is produced according to highest quality and safety standards. MY SWEET BABY infant wicker cribs (baskets) are healthy products that are handmade, of ecological wicker, natural wood, attested 100% cotton fabric and hypoallergenic non-woven fabric. MY SWEET BABY wicker cribs (baskets) are patent-protected product patterns and solutions making their everyday use easier – because we know how precious every moment spent with your baby is. Every product is under full 2-year guarantee. MY SWEET BABY products are top quality beautiful infant beddings, made of European 100% cotton fabrics, attested and gentle for skin. Delicate pastel embroidered patterns, as well as modern fashionable sets – MY SWEET BABY bedding sets will match every baby room interior. 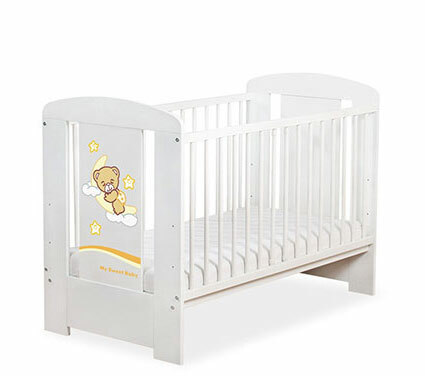 MY SWEET BABY are also trustworthy and beautiful wooden infant beds, along with vast choice of accessories meant to make everyday care easier. We cooperate with brick and mortar and online shops in European Union. We offer professional help and advise, we provide our own pictures of all the products, clear online order system and dropshipping. Manufacturer and distributor Pexim Group sp. z o. o. sp. k.